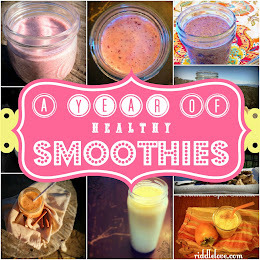 "I want to be healthier, but where do I start? How do I start?" I have asked this, people have asked me this, and today I share ideas that were most helpful for me when I began my health journey. To help us start detoxing our lives, it's my pleasure to introduce to you our new favorite non-toxic cleaner. We have been using Branch Basics for a couple months now and I am super impressed by their product! We haven't even used it for every purpose yet, but I can tell you that it's the most effective non-toxic all-purpose, stainless steal, glass, and bathroom cleaner as well as hand sanitizer we've ever used. I'm excited to also try it out as a laundry detergent and shampoo this month. There's a long list of uses for this cleaner and absolutely no warning labels, because each ingredient is so safe, it's food-grade and won't harm you, your children, or your pets. I don't cringe when my kids are doing their chores and get cleaner on their hands! 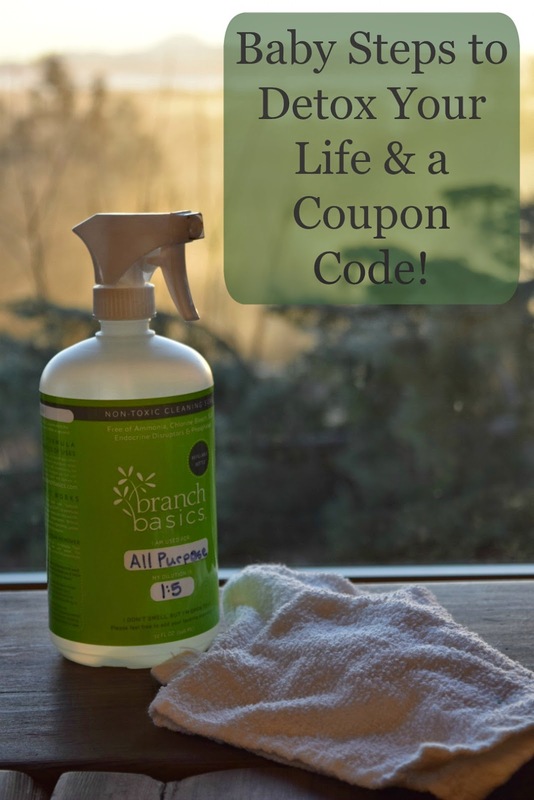 Our friends at Branch Basics are graciously offering a 20% off coupon code for their non-toxic cleaner for one week only, so jump on this train while it's still in the station, y'all! Visit their website and when you're ready to make a purchase, type in RIDDLE20 in the coupon code box. This is a wonderful place to get started in detoxifying your life and definitely counts as one of your baby steps (explained in the video below) for this month. Also, saving money is awesome. UPDATE: Branch Basics has gone on backorder due to higher demands than anticipated, but the good news is you’ll be the first to receive their newly branded products and more concentrated formula in about two weeks! Have a spectacular, healthier week, friends! It might not be legal to say that half way into January, but the year is still new so I wish you a happy one. Health seems to be at the forefront of most our minds after we may or may not have over-indulged over the holidays. 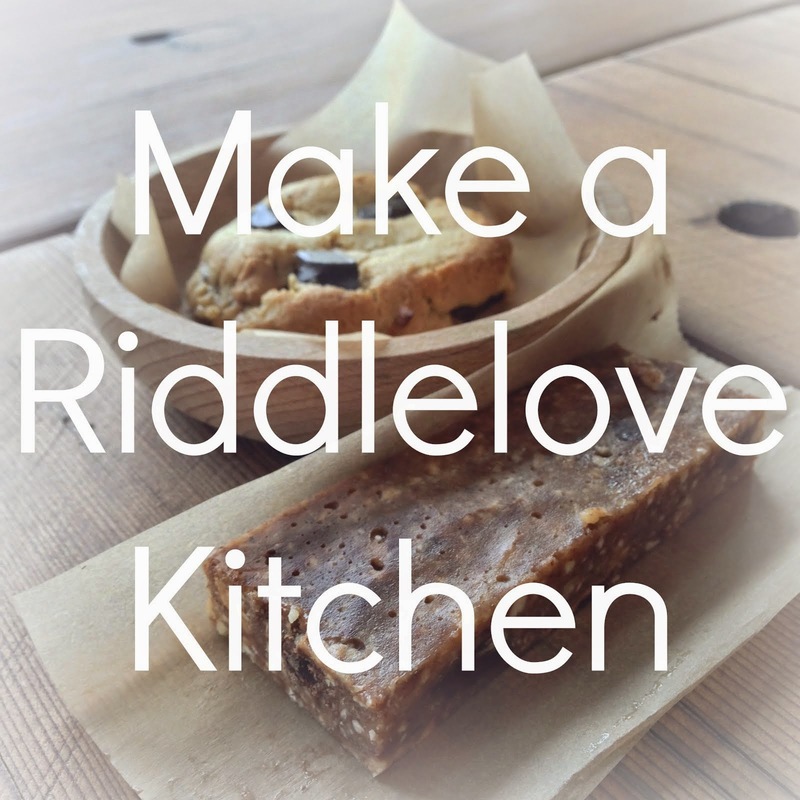 To kick off 2015 here on Riddlelove, I wanted to share one of my favorite easy-grab foods. We have been enjoying goodies from the Bearded Brothers since the golden days of summer. 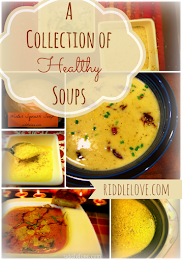 As I share on my health journey video below, I'm a huge advocate for cooking from scratch, but there are those days that take unexpected turns and it's nice to have an emergency supply of grab-able food in the pantry. I adore these bars because they are 100% clean. I couldn't have made them more healthy, so there's no bad feelings while stuffing our hungry faces with them. You flash the words "raw," "gluten-free," and "paleo" at me with the slogan, "Bros Before GMOs," I pretty much order in bulk before I know what's happening. It makes it all the more easier to click that order button when your first one is 15% off after subscribing with them and free shipping over $75. I've tried all their flavors (several times) and have many favorites, but my top three are Outrageous Orange Kale, Radical Raspberry Lemon, and Bodacious Blueberry Vanilla. My kids' faves are Mega Maca Chocolate and Colossal Coconut Mango. I'm so happy to partner with the Bearded Brothers to offer you a whole case where you can sample two of each flavor! Go on and enter below! Today is packed with healthy goodness. On top of this nifty giveaway, here's a video (complete with some embarrassing childhood photos) of my health journey, and how I went from being chronically fatigued to full of energy, and everything in between. But wait! There's more! If you missed it on YouTube, here is my uninspiring pep(less) talk for 2015 from earlier this month. And just in case you're bored, another new year's resolution of mine is to laugh more, so I started a new YouTube where I make fun of myself, basically. I find that it's easy for us homeschoolers to take things overly seriously; most of the time unintentionally. It's a lot of work to homeschool! Add the feeling of anti-homeschoolers' hot breath bellowing over our lesson plans and it can get really hard to laugh. I have found myself pulling away from potentially explosive situations in our homeschool just enough to imagine it as a reality TV show and have to laugh, which is the inspiration behind these YouTubes. Back to the giveaway! Continental US residents only, I'm afraid, though you can order yourself a box from anywhere. A winner will be chosen from random.org once the contest has ended and will be notified via email. Come back to this post to see who the luck winner is. There are so many ways to get several entries, so go for it!